Manchester United and Chelsea are set to go neck to neck in order to sign Juventus star Paulo Dybala, after Jose Mourinho’s top summer target, Antoine Griezmann, committed his future to Atletico Madrid. As per reports from Mundo Deportivo, the decision of the CAS (Court of Arbitration of the Sport) of not allowing Atletico Madrid to be able to register any player this summer has initiated a real ‘domino effect‘ between several teams and players. The 23-year-old striker has been brilliant for Juventus this season, earning himself a host of admirers, with Chelsea, Real Madrid, and Barcelona all being heavily linked with him in recent months. However, Juventus consider the Argentine as one of their prized possessions and a prime element of their squad for the upcoming season. 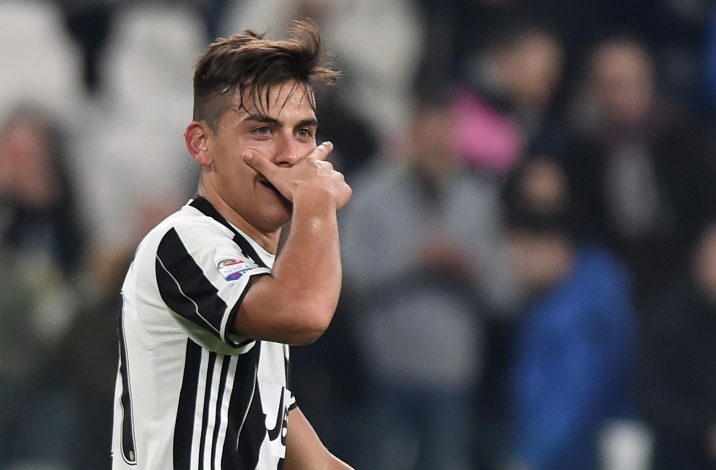 Dybala extended his current contract with Juve until the June of 2022, after his scintillating performance against Barcelona in the first leg of the Champions League semi-final. While Antonio Conte is looking to strengthen his side by obtaining the striker’s signature, Mourinho is also reported to see him as an ideal replacement for United skipper Wayne Rooney, as he embarks upon a summer revamp of his squad.